Ask anybody south of the Mason-Dixon line to talk about side dishes and yams always come up. 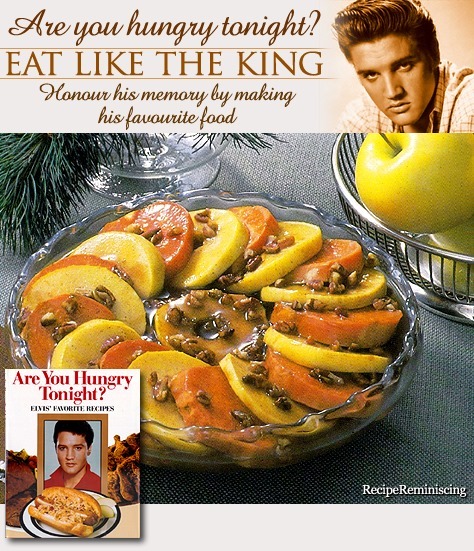 This variation on the usual theme brings together two of the King’s favorites. Yams are a monocot (a plant having one embryonic seed leaf) and from the Dioscoreaceae family. Sweet Potatoes are a dicot (a plant having two embryonic seed leaves) and are from the Convolvulaceae family. Therefore, they are about as distantly related as two flowering plants can be. 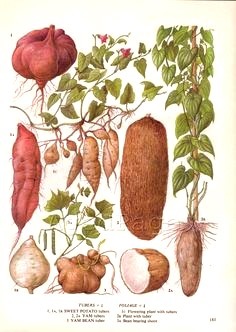 Culinarily, yams are starchier and drier than sweet potatoes. The table below lists some differences between yam and sweet potato.